Want to spend more time shooting Grunts, and less time loading your games? According to Joystiq, installing Halo Reach to your Xbox 360 hard drive will cut your loading times by up to 60% in all of the games modes. If you’re one that loves Halo Reach, but also values the time you spend gaming, you’ll definitely want to consider using a bit of that hard drive space to install your game. Some of the sped-up load times are too fast to resist -- for instance, according to Examiner, an installed Reach can load a custom game in 9.7 seconds, as opposed to 28.7 seconds uninstalled. That would give us an extra 19 seconds to spend getting shot over and over and over again! Remember, in war every second counts. 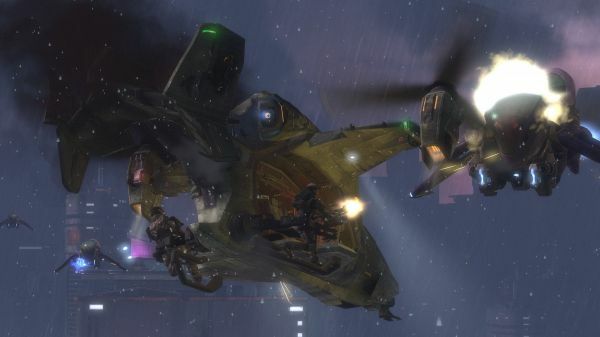 Halo: Reach Conquers Modern Warfare 2 on Xbox LIVE; Plus, Co-op Easter Egg: REEEAAACH RACER!! Page created in 0.3920 seconds.